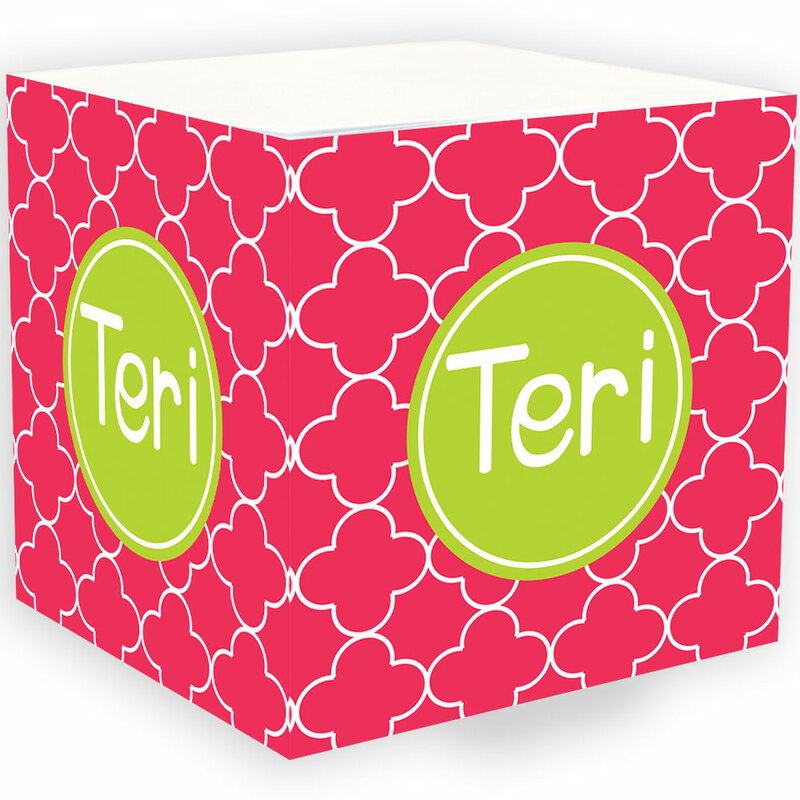 Create your own personalized note cube! 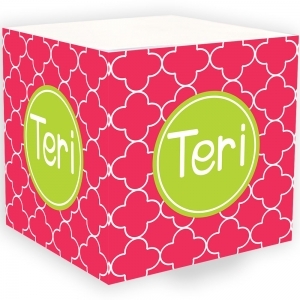 The perfect accessory for any desk or office - our 3 1/2" square 700 sheet Personalized Note Cubes feature your favorite design and color, printed on all 4 sides. Each sheet has an adhesive strip on the back so you'll be able to post your notes anywhere. Great for note taking and list making as well as a memorable gift for your boss, teachers or co-workers. ** Pattern color may be different than shown on your screen. Please see your screen or monitor instructions for calibrating your monitor.